We provide a range of Marketing Services for the Small to Medium Businesses throughout the UK. We specialise in creating tools and products designed to support business growth. Our approach concentrates on improving your customer retention and growing your customer base. All of our tools and products are flexible and very cost effective. Improving Customer Retention or Customer Loyalty can only have a positive effect on any business. We can help you design a scheme that just right for your business, ranging from Stamp & Save to a Bespoke electronic scheme. Stamp and Save Kits enable any business to implement a simple but highly effective Stamp And Save Loyalty scheme. We can also offer a Stamp and Save Plus which enables you to capture Customer Data for future Marketing. 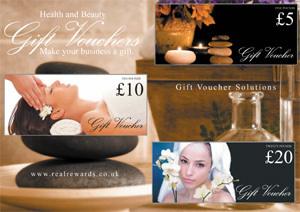 Reward Card is our completely outsourced Electronic Loyalty Scheme with a wide range of options to suit almost any business. The daily Admin is carried out by us, leaving staff free to serve your customers. Our Reward schemes can offer both Generic and Bespoke schemes. Direct Postal Marketing is a very cost effective way of growing and retaining your customer base. It also allows for Data analysis, which in turn allows you to target further New Customers. Direct Email Marketing is a very effective method of marketing to existing customers for almost any business. Its very effective for getting your message to high number of recipients very quickly and is ideal for repeat communication.